Mr. Narayanan Vaghul is the Former Chairman of ICICI Bank Limited which is the second largest Commercial Bank in the country. He is widely recognized in India for his role in pioneering the concept of the Universal Banking Model that laid the foundation for a new era in Indian Banking. Born on August 4, 1936, Mr. Vaghul received his Bachelor of Commerce (Hons) Degree from the University of Madras (now known as Chennai) in 1956. He joined the State Bank of India in 1957 as a Probationary Officer, became the Director in the National Institute of Bank Management, Mumbai in 1976, before assuming charge as Executive Director in Central Bank of India in 1978. He became Chairman of Bank of India in 1981 and had the distinction of being the youngest ever Chairman in a Public Sector Bank. He joined the ICICI Limited as Chairman & CEO in 1985 and continued to head the group till April 2009. During his tenure in ICICI, Mr. Vaghul created several new institutions laying the foundation for the development of the Universal Banking model. He started the first venture capital company in India in 1987 and from a small beginning this has become the leading venture capital company today. He was also instrumental in setting up ICICI Securities, an Investment Banking company. When the banking licence was thrown open to the non state players, he set up a commercial bank with which ICICI was to merge subsequently to become the first major universal financial institution catering to the diverse needs of all segments of customers. He also pioneered the concept of Credit Rating in India by setting up CRISIL. He was the founder Chairman of CRISIL for close to ten years and helped in evolving the best practices of credit rating in the country. Mr. Vaghul was deeply interested in Education, particularly to the underprivileged sections of society. 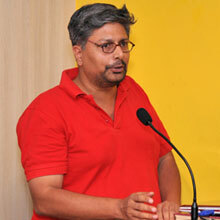 He was Chairman of “Pratham” a leading NGO in this sector. He is associated with several foundations dedicated to the cause of primary education. He is also deeply committed to the cause of science and technology and was responsible for setting up the first Science and Technology Park in the country known as ICICI Knowledge Park. He is associated with Institute of Technology in Jaipur. He has been the Chairman of IFMR a Business School with an array of research centres engaged in a variety of economic and social research. Mr. Vaghul is the recipient of numerous awards and honours. 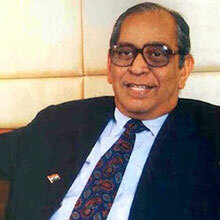 He was chosen as the Business Man of the Year by Business India in 1992. He was given Lifetime Achievement Award by the Economic Times in 2006. He was given an award for the contribution to the Corporate Governance by the Institute of Company Secretaries in 2007. He was given the Lifetime Achievement Award by the “Ernst & Young Entrepreneur of the Year Award Program” in 2009. He was awarded the Padma Bhushan by the Government of India in 2009. He was awarded Life Time Achievement Award by Bombay Management Association in March 2013. Mr. Vaghul, who is 77 years of age, is happily married, with two children and four grand children, all of whom are settled in the USA. 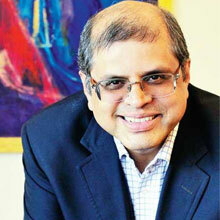 Amit Chandra is Managing Director of Bain Capital Advisors (India) since early 2008. Bain Capital is one of the oldest and leading global private investment firms in the world. He has previously spent over 13 years at DSP Merrill Lynch, a leading investment bank in India, from where he retired in 2007 as its Board Member & Managing Director. Amit started his professional career as an engineer at India's leading engineering & construction firm, Larsen & Toubro. He is also a Member of the Board of Directors of Genpact, Tata Investment Corporation, Piramal Enterprises and Emcure Pharmaceuticals Limited. Amit serves as Member of the Corporate Social Responsibility Committee and Remuneration and Nominations Committee at Tata Investment Corporation, the Corporate Social Responsibility Committee at Piramal Enterprises, the Remuneration and Nominations Committee at Emcure, and the Nominations Committee at Genpact. Amit is very active in India’s not for profit space and serves as a Trustee/Board Member of The Akanksha Foundation (providing education to less privileged children) and GiveIndia (India's leading philanthropic exchange). He was named Next Generation Philanthropic Leader of the Year by Forbes in 2013. He received his MBA from Boston College and was awarded the school's Distinguished Alumni in 2007. He received his undergraduate degree in Electrical Engineering from VJTI, Bombay University. 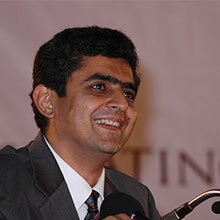 He was named as a Young Global Leader by the World Economic Forum in 2007. 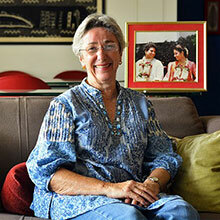 Annabel Mehta is currently the President of the Mumbai-based NGO - Apnalaya, which she has been associated with since 1973. In addition to her role as Treasurer, she is also involved with programme planning and implementation on a regular basis. One of the founding members of the Spastics Society in Mumbai, she has been involved in social work earlier too - with Sanjivani Trust in Mumbai. Annabel was born in Solihull, Birmingham, in the UK in 1940. She completed her schooling at Malvern Girls College (1950-58); post which she went to the Royal College of Music (1958-60). She has also done a Diploma in Social Administration from the London School of Economics. She worked with the Family Service Unit in London before shifting base to India in 1966, when she got married. Dr. Sandeep Sibal is the Country Manager & Vice President - Business Development for Qualcomm India and South Asia. Qualcomm is a world leader in 3G and 4G wireless technologies and mobile platforms. Prior to joining Qualcomm in 2008, he served as the Technology Advisor of Reliance Communications and saw its subscriber base grow from launch to 35 million. Before returning to India, he co-founded Kirusa in 2001 in the US and served as its Chief Technology Officer and Board Member. Kirusa is a high-tech company focused on enhancing the user experience of mobile phones, and now serves over 80 million users across 35 mobile operators and 25 countries. Dr. Sibal began his professional career in R&D at AT&T Bell Labs, though his first job was an internship at Baylor College of Medicine studying the neurons of mice to explore memory and learning. He is a co-inventor in 25 US patents. Dr. Sibal is also a member on the Governing Council of TSDSI (Telecom Standards Development Society of India), and is a Board Member of GiveIndia. He has served on the Advisory Board of the W3C (World Wide Web Consortium) and on Intel's Carrier Board of Advisors for Asia. He has a special interest in human rights and social action; participatory democracy and governance; animal welfare and animal rights; neuroscience and human behaviour; and the use of technology for effecting social change and enhancing well-being. Dr. Sibal received his Bachelor of Technology degree in Electronics and Communications Engineering from IIT Madras, a Master of Science degree in Electrical and Computer Engineering from Rice University and a Ph.D. in Electrical, Computer and Systems Engineering from Rensselaer Polytechnic Institute. He also attended an Executive Course on Strategy & Innovation at MIT's Sloan School of Management. Since 2009, Venkat has been a core volunteer involved in evangelising the Joy of Giving Week, India'sown "giving festival". In 2010, JGW saw 1 million+ people participate in 450+ events in 40+ cities across India, channelling over Rs 20 crores in cash and kind, and millions of volunteer hours towards a range of social causes. In 2012, JGW saw over 1.5 million people participate in 750+ events in100+ towns, villages and cities across India, channelling over Rs 30crores in cash and kind, and millions of volunteer hours to a range of social causes. After 17 years of corporate life, Atul move full-time to development sector in 2015 to fulfil his passion of working on inequality and social issues facing India, and has been serving The/Nudge and N/Core since then. In Aug 2017, he joined Give Foundation as a Director as well as CEO to serve our mission of making India a giving nation. He was previously the Chief Revenue Officer of InMobi. 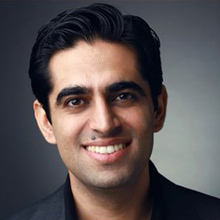 Prior to InMobi, he has worked in key positions at Google, Adobe, Samsung and Infosys. Atul holds a Masters in Business Administration (MBA) from Indian School of Business and B-Tech from National Institute of Technology. "Damini works in Product Management at GiveIndia. Prior to this, she has worked at The/Nudge Foundation, N/Core and Tapzo, where she worked on user acquisition, engagement, email marketing, marketing technology and more for two years. Damini holds a BE from Netaji Subhas Institute of Technology, University of Delhi." "My association with GiveIndia started with volunteering with the feedback and listing team. GiveIndia has given me the opportunity to meet with some truly selfless people who work towards the betterment of the society. I am yet to come across a more honest bunch of people than the team at GiveIndia. The organisation seems to have achieved a unique balance of democracy and transparency while adhering to the protocols of any functioning corporate." Archana was previously Group Manager - Corporate Planning & Strategy; Revenue Head - South Region of the Times Of India Group for 3 years. Prior to that she has worked in Entertainment Network (India) Limited, Goldman Sachs & Cybernet Software Services. She has done BE (Industrial and Systems Engineering) & an MBA from Management Development Institute (MDI), Gurgaon. Archana heads the Credibility Assurance team at GiveIndia. "Karuna has 9 + years of experience in various domains such as Human Resources, Home Finance, Banking and Insurance. She holds a post-graduate degree in Advertising & Public Relations from K. C. College of Management Studies, Mumbai. Prior to joining GiveIndia, she was associated with Kennovation Software services as an HR Manager." "I used to raise funds for many NGOs at Support Direct (I) Pvt. Ltd. Eventually I reached a point where I decided to work directly with an NGO to create more impact. At GiveIndia, there is scope to learn a lot since most employees come from diverse backgrounds." Prior to GiveIndia, Kalpesh ran a franchise for Support Direct (I) Pvt. Ltd., where he raised fund for various big NGOs. "I wanted to work with an organisation which works for the upliftment of the under privileged. And I think GiveIndia is the biggest platform where I could make this happen. Besides, my family wanted me to work during the day, unlike at ICICI Bank, where I used to work round-the-clock shifts in rotation." An ex-serviceman, Michael worked with the Indian Air Force for 20 years, from October 1981 to October 2001. After a bit of a gap, he joined ICICI Bank as a security supervisor. After two years of service, he was promoted to a security officer. "Ankit has completed his B.Com. In the past, he has worked with Clearpath Technologies as an SEO manager. He was also a freelancer web designer for past 1 year. 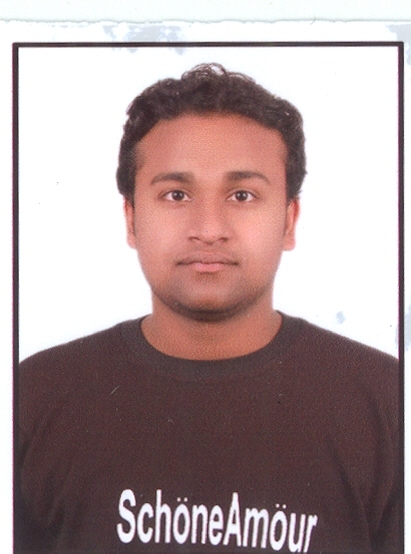 At GiveIndia he is a full time Web Designer and is part of the Online & Retail Giving team." "I joined GiveIndia because it offers me an opportunity for advancing my career, with much room for moving up. I would also like to be a part of what I see as an excellent team and great work environment." "It was a conscious decision to move to the social sector, and get inspired by the selfless people who work for the betterment of the society. I had joined GiveIndia as a Marketing Intern, and now I am working as a full time employee in Credibility Assurance Team. I have completed my BBA (Finance) from NMIMS University and have close to 2 years of work experience. I am currently pursuing my Part Time MBA in Social Entrepreneurship from NMIMS in parallel." "I had worked with a multinational, and needed a job which GiveIndia offered. I find that GiveIndia has a work and technology culture which is better than my previous multinational employer. I find working for GiveIndia very satisfying." "Priyanka has completed her HSC. Prior to joining GiveIndia, she worked for Anudatta Vidyalay as a computer teacher." "I joined GiveIndia in 2006 because it gives me the opportunity to work in the development sector along with the opportunity to work, learn and grow. Prior to joining GiveIndia, I have 3 years of experience at Delta Service Pvt. Ltd."
"My reason for joining GiveIndia is because I really wanted to do something to make a difference in society for poor students and for the people who are in need. GiveIndia provide the platform and opportunity to help NGOs by connecting donors to them." "Sandip Kadam has completed his HSC. Prior to GiveIndia, he worked with the Credibility Alliance." "I have joined GiveIndia to increase my knowledge in the development field. It provides me the platform to contribute to the social sector." "I joined GiveIndia because it gives me the opportunity to work and learn new skills. I feel extremely happy and content to work here." Suprina has completed her B.A from Mumbai University. "I always wanted to work for the betterment of society. I joined GiveIndia by chance and soon realized that there cannot be a better platform to fulfil my aspirations to fullest." "Yama completed his Bachelor of Science (B.Sc) from Sri Venkateshwara Degree College, Suryapet. He has more than 3 + years of experience in sales, client serving and training." "I always wanted to work for the society and got my first opportunity in SOS Children's Village's Of India followed by Smile Foundation. I always wanted to work for more causes related to underprivileged and I found that GiveIndia has a bucket of 10 causes, supporting 250 NGOs pan - India. I enjoy and love my work here & am now well settled in Mumbai." Digvijay completed his Bachelor’s in Science (BSc) form NEHU North Hill University, Shillong. He has 11 years experience in Sales. In the past, he has worked for Satyam Collection for 5 years, where he used to deal with wholesalers and retailers. "The reason I joined Give India was because GiveIndia provides me a platform to work with varied organisations who are doing such great work to make the world a better place." "GiveIndia gives me opportunity to work indirectly for the social cause, which gives me pleasure and makes me feel proud to be associated with GiveIndia." "Previously I was working for an event management company in Bangalore for school Related Programs. I used to see even kids in city like Bangalore were unable to afford fees, purchase Uniform, and have three nutritious meals. This moved me to join a platform where I can provide support to more people. Give India provided me that opportunity to do that. Grateful to Give India." "My motivation in joining GiveIndia was to use my core skills to give back to the society by working in an organization that believes in contributing to the society in every small way as possible. My experience with GiveIndia taught me that collecting funds even for a good cause can be very cumbersome. I hope my contribution in my small way is helpful to the organization as well as to the society. And since my work is associated with my skills, the experience is all the more enjoyable." "I am a CA Final student with an experience of 5 years in the field of Accounts, Tax and Audit with a passion for dancing. Give India is like a family where work is fun and boost to your experience. Giving smile to others is my motivation to work here. I thank Give India for providing me with the opportunity to bring smiles to underprivileged while exploring and enhancing my knowledge." "I always wanted to make a difference in the society especially for the underprivileged. Giveindia gives me a platform to understand the psychological aspects of both the donors and the beneficiaries. Monetary evaluation and complete transparency is something which appealed me. And now it has become a source of motivation for me as well. Studying philosophy and doing Gandhi fellowship gave me a sublime experience to understand the society as a whole." "I did my Post Graduation in Computer Application(MCA) and then joined Carwale.com where I worked for 5 years. I joined GiveIndia because it is the place where I get a chance to give back to society. Also, it gives opportunity to learn new things. Happy to work with Giveindia." Success is no longer measured in terms of how much money one has accumulated over their lifetime. Today, transformative and diverse experiences are much more sought after. Giving is one such experience. At GiveIndia, I not only get to give back to society but also get the opportunity to help others do the same. Being a part of the Tech Team allows me to develop and sharpen my skills while using them for the benefit of others. "I have always believed that kindness is the greatest wisdom. Give India offers me a platform where I can put my compassion to action; take a step forward and be the change I wish to see. My wish, dream and hope is to make the world a place like John Lenon describes in his song-Imagine". Prior to working with GiveIndia, Ishwarya has worked with Citius Tech and JP Morgan.She works with the Credibility Assurance Team in GiveIndia. I joined GiveIndia because it felt like the right thing to do. My time here has convinced me that the world is neither bad nor beautiful-it’s just difficult. And the organisations that we work with help make the difficult reality less difficult for the people they serve. Working with these diverse organizations and seeing them do what they do restores my faith in humanity and convinces me of a better tomorrow. Prior to joining the Credibility and Assurance team at GiveIndia, Nikhila worked with Teach for India and NASSCOM Foundation. GiveIndia offers me a platform to help the less-privileged get the kind of opportunities that I have been lucky enough to receive. I have done a BSc in Statistics and an MBA from the Indian Institute of Management, Indore. I love reading (especially sci-fi and fantasy fiction) as well as watching TV shows. I work with the Credibility Assurance Team at GiveIndia. Having done my BA in Economics from University of Mumbai, I was doing Gandhi fellowship with Kaivalya Education Foundation where I was working on the mindset, knowledge and transaction of municipal school teachers and principals along with doing developmental projects in the schools and the communities. While working at the grass roots, I identified the importance of money reaching the poorest individual with utmost transparency and how every individual in this country must contribute to the development of the society. GiveIndia gave me a perfect platform wherein I could be responsible in handling the flow of money from the haves to have-nots and impact social development at scale. "My journey with GiveIndia started few days back but my association with NGO is not something new, my father has also been working since long for one of the NGO. My personal belief is that your learning and personal growth can be accelerated by working for a non-profit organization. When you join an NGO you are not just doing it for giving back to society, but are also gaining much more. It has been observed that behavior of people change when they are in a situation where they are reminded of moral values and idealism, such as near Schools, in churches and in temples. This is exactly why when you meet truly dedicated people in an NGO, you will see their Guards down, people become much more open, much more ready to change and much more inclined to listen to all points of view. GiveIndia has inspired me in one way or the other. I am just amazed at all the things we are capable as a team with each having unique qualities that have propelled us this far now. GiveIndia is one of the greatest things happened to me in my life. My life can be cleanly divided into two parts before and after joining GiveIndia. If an organization can mould a person in such a way that someone who once was playful and careless has now become a responsible, calm and patient person, no wonders it can bring about a change in each and everyone’s life. GiveIndia is indeed a blessing in disguise. I haven’t experienced the joy of giving until I joined GiveIndia. After this association, I have become a responsible person not only to the society, but also to my home. Every time I think of GiveIndia my heart fills with pride and peace. A million thanks to GiveIndia for making me what I am now." "After completing my BE in Computer Science in 2016, I wanted to work in a challenging environment where I can get to learn and grow. At GiveIndia, we work as a team for a good cause, this makes it more fun to take over the problems we encounter. I like solving problems and my hobby includes cooking and sketching. Before GiveIndia I worked as an Associate Engineering at ClearTrail Technologies, Indore." "Born and brought up in Calcutta, I have graduated from St. Xavier's College, Calcutta with Finance Hons, and I am currently a semi-qualified Company Secretary. I worked with two start-ups before joining GiveIndia, and have been a volunteer English Teacher and Mentor at Make a Difference for two academic years. I have always been bothered by discrimination and the issues cropping out of it. Joining GiveIndia has opened up a whole new avenue where I can do my bit to bridge the gap between the needy and the available resources. My hobbies include exploring new places, music and food as well as writing, painting and solving Sudoku." "Doing something for the society by whatever means available was a small wish I had being a child. Now being a proud GIVEINDIAN, I can give back to the society. Very thankful to the organization for making me a part of it and giving me this opportunity. I love little smiles and want to bring up more smiles in this journey." "Anuruddh is working as a Software Development Engineer at Give India. Prior to this he has worked with Citibank where he worked on Risk Analytics for Mortgage Backed Securities. He has a Bachelor of Technology degree from IIT(BHU) Varanasi." "I have completed my Master's in Mass Communication from Bombay University. It makes me feel proud to be a part of Give India family as it gave me a platform where I can bring out my passion through action working with young and dynamic minds." "Vivek works in the product management team focussing on demand-side products. Vivek is also the founder of India's first political social network HumBee, which is niche community for meaningful political discussions. Previously, he has experience working in Technology and a brief stint as a civil servant with the government of India. Vivek is a staunch believer in the power of technology and system design to make a meaningful impact in the lives of the most vulnerable sections of our society. Vivek has a Bachelor's degree from IIT Kharagpur." "Why am I supporting GiveIndia? Because it makes giving easy and transparent. When I moved out of India over a year ago, I was looking for a way to give India back. I began to search for mechanisms to give to causes that I felt for and soon realized that they (mechanisms) were not easy to come by. Moreover I realized that I would like to be assured that my act of giving was benefiting the cause I felt for. That is when I came across GiveIndia and began supporting it so that other friends might also be able to use the quick and efficient way of giving that GiveIndia is all about." Pawan has been working with IT and high technology companies internationally for 8 years. He is currently Director of Business Development at Syntel, Inc. Prior to Syntel he was a venture capital professional. He was a Principal at mc3 ventures (formerly McKenna Capital) in Silicon Valley and an investment manager at GVFL Ltd, the oldest venture fund in India. Pawan focuses on the segments of Information Technology and Communications; and their application in financial services, healthcare and telecom. He has invested in/ managed 8 companies and evaluated over 200 companies in these areas. Pawan serves on the boards of a number of companies and continues to advise a number of companies in Asia and the US. He has a Bachelors Degree in Electronics and Communications Engineering from Delhi College of Engineering; an MBA from the Indian Institute of Management, Ahmedabad.